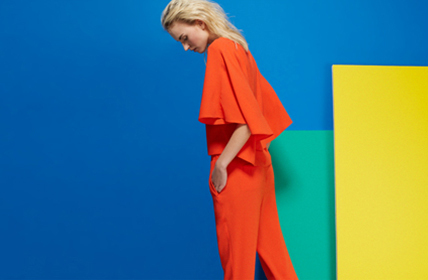 Founded in 1997 by designer Amy Smilovic, the New York based label Tibi is a modern take on laid-back feminity. Known for it’s feminine cuts, the label’s eye-catching prints and unexpected colour combinations epitomise Manhattan cool. Tibi’s many celebrity fans include Scarlett Johansson, Liv Tyler, Drew Barrymore and Reese Witherspoon.